Balancing both work and family is difficult for any working mom. Master balancing work and family in the real world with these 6 surprising tips. There I was, dealing with an urgent work “emergency” while at home with my boys. It was one of those days when they were particularly energetic. Work was demanding, but I had promised we’d have playtime. Stuck on the phone, I glanced at the box of action figures in the corner. Guiltily, I dumped the entire box of superheroes on the floor just so my kids would cooperate and let me focus on work. I didn’t feel great about my divided attention. I felt terrible about ignoring the kids in favor of work—but I knew I’d also feel guilty the other way around. It’s a struggle every working mom faces: how do you balance your family and your job when they both demand your time? We feel guilty for spending more time with clients and coworkers than our own kids. (We even feel guilty for enjoying our jobs!) When we finally do make it home, we’re often exhausted. We’re too drained for fun, quality time because we need to address logistics and prepare for tomorrow. But our kids are growing up right before our eyes! We feel bad when we miss out on a milestone at daycare and worry we’re not giving them enough memories to look back on. Whether it’s the buzz-terms “leaning in” or “having it all,” the challenges of work life balance comes up over and over. It’s a hot topic in magazines and news stories. This elusive balance has been sought since women became a regular part of the workforce. I’ve worked across the spectrum: traditional 9-to-5 gigs, part-time jobs. I’ve been an employee working from home and now, I’m running a business from home. I’ve felt the pressure and seen the raised eyebrows when I’ve had to leave work early to pick up my kids from school. I’ve also faced the guilt of working from home when my kids were with me, too. Over time, I’ve learned to shift my mindset to stop the guilt and find rhythm and balance. Turns out, true balance isn’t exactly what we’re all seeking. So maybe we need to stop seeing work and life as a question of either/or. To feel good about work and life, we need to look at the way they intertwine and complement each other. Balance isn’t so much about always keeping every aspect of your life in equal proportions. It’s not about walking a tightrope, straddling and stretching to keep all sides equal. You see, balance is more like a seesaw. When one end of the teeter-totter goes up, the other comes down. Back and forth. It’s about a bigger picture—a seasonal overview, not a daily snapshot or goal. Sometimes you’re forced to focus on one side of the seesaw, knowing the other side will take a backseat. Then priorities shift, one goes down, the other comes up. For instance, if you’re a teacher, the start of the school year is likely your most hectic time. For an accountant, tax season is the busy period requiring around-the-clock work. Seasons may be projects at work, times of heavier travel, a big deadline or those nights when you have to work late. My husband is the perfect example: some nights he’s out of the house at the crack of dawn and doesn’t return until late. Other times, he doesn’t leave until 10:30 in the morning and he’s back home by 2 pm. Work ebbs and flows. On the flip side, some seasons in the household demand more attention. The first day of school, birthdays, summer vacations, and even when kids get sick. The focus shifts from work to parenting. Recognize your seasons. Reassure and share this perspective with your family so they understand the times you need to focus on work. Like a seesaw, life will shift in the other direction when it’s the busy season for your household. We may value our independence and try to tackle it all, but relying on others is especially helpful during those tough busy seasons. For instance, enlist help with logistics: school pickups, managing schedules, childcare and housekeeping. 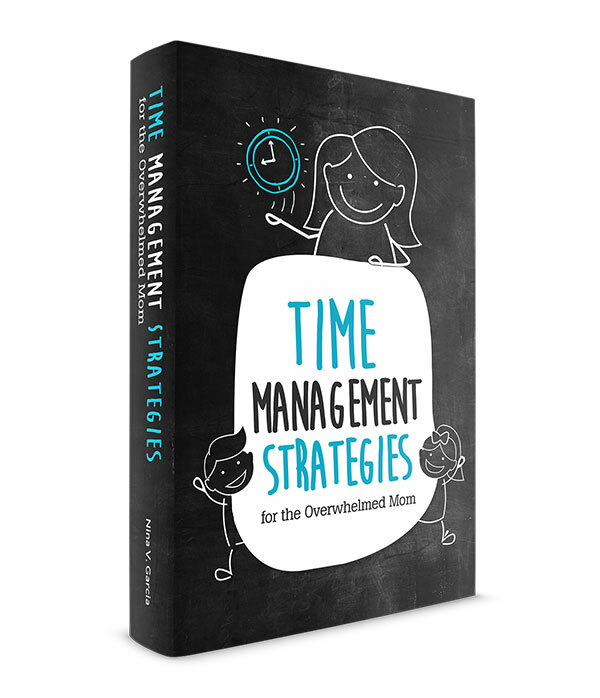 Consider hiring out, trading shifts with other parents or using services to manage day-to-day tasks. If you do everything yourself, you’ll feel stuck and hard-pressed. You’ll have no room to breathe and won’t give your best effort in the areas that matter most to you. Rely on your loved ones to keep you in check as well. Welcome their opinion if they see you teetering on the edge of one aspect of your life. Ask them to let you know if they see you taking on too much. Invite your family and your partner to tell you when they notice you’re stressed or unhappy. But also ask them to tell you when they’re stressed, unhappy or notice the kids are sad or struggling. Rather than feeling defensive, use this trusted feedback as your personal gauge. Red flags give you a sign you might need to refocus. Struggling with concentrating at work, making mistakes or slipping up means it’s time to pull back on the reins. Sometimes the signs will appear in your kids as well. If they’re acting up, withdrawn or have a change in behavior, shift your focus back to your household. Kids tend to become needier, emotional or insecure if they need more attention. You may also notice red flags in your own behavior. If you’re feeling impatient, sensitive or exhausted, you may need to go into self-care mode. Sometimes stress causes illness and physical symptoms as well. Stay attuned to what your body and emotions are telling you. Don’t feel like you need to give 100% in every area, but if you notice those red flags, take a step back and re-focus your attention. This may mean you need to shift your work or a few of your home duties. Watch for the flags and adjust accordingly. So you’ve noticed your kids need more attention? Resist the urge to swoop everyone off on a Disney vacation or begin a big craft project. 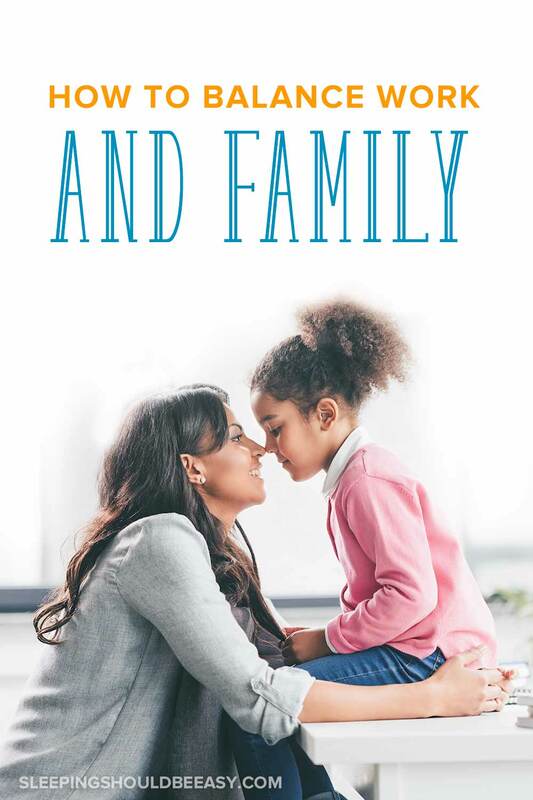 When our kids need us, it’s often a sign they need comfort and a sense of stability, but they may simply need a fun day with mom or one-on-one time. It doesn’t take much for them to feel entertained. Like parents, kids get burned out too. They feel stressed and overwhelmed, especially with jam-packed schedules. Downtime is important for their well-being, just like it’s important for adults. When we go overboard creating extravagant memories, it’s often out of guilt and making up for lost time. What kids really need is one-on-one time where they’re the sole focus. Read a story, play a game or just sit and talk. Read the importance of remembering the ordinary moments. What kids really need is one-on-one time where they’re the sole focus. 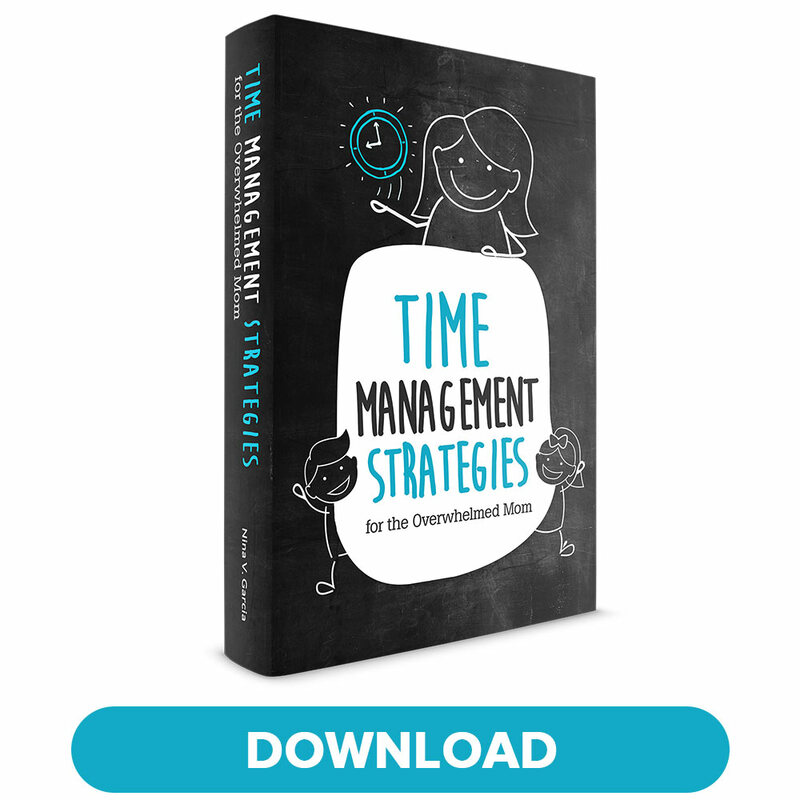 If you want to get a handle on where your time goes, track it. For a week, track all your time in 30-minute chunks. This activity is quite eye-opening. It’s not just about spending less time on Facebook or in front of the TV (there’s likely still wiggle room in your schedule even you don’t do either). For instance, did you go to the grocery store multiple times because you forgot items? Did you take a long lunch instead of using that hour to run a few errands? Find space in your schedule. Use opportunities like early mornings, nights and lunch-hours. Review your to do list while waiting for a doctor’s appointment. Read a book, send emails or listen to a podcast during your train commute. Use your waiting time and daily tasks as opportunities to maximize your time. Even watching TV gives you a chance to catch up on your banking, spreadsheets or scrapbooks. How much do you like your work? Your personal life? Turns out, your work and personal life are very much intertwined. If you’re arguing with your spouse, chances are you’re not going to concentrate well at the office. Feeling stressed out from work means you won’t enjoy your family-time. If you never liked your job before you had kids, not much will change after you have a family. 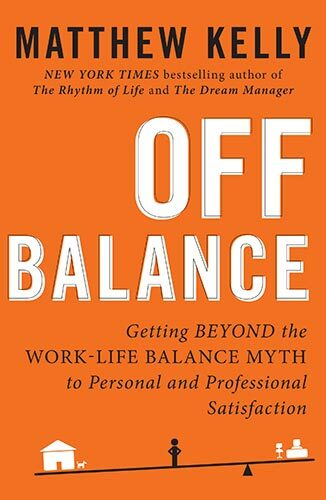 “[W]hen people say they want more work-life balance, if you delve a little further and get people talking about what that balance looks like, you will discover that what they want has very little to do with balance. You see, it’s not about having it all or doing it all. It’s about finding a way to shift the balance back and forth to keep yourself on steady ground. The guilt that comes from navigating a hectic schedule is a challenge, but you’re not stuck feeling this way. You can find balance—or rather, satisfaction—even if it means shifting your perspective. Don’t think of it as walking a tightrope—think of it as a seesaw. Rely on those closest to you and listen when they point out you’re struggling. Watch for red flags, like exhaustion, emotional overload or lack of focus. Don’t feel the need to create extravagant memories for your kids. If you’re struggling to know where your time goes, track your time for a week in half hour blocks. And when it comes down to it, it’s really all about work-life satisfaction, not balance. When our jobs and our home lives are satisfying, we feel better about everything on our plate. Whether you’re working from home or returning after a long day at the office, it’s time to let go of the stress and guilt. We can find satisfaction in all areas of our life—even when the kids are (happily) playing with their superhero action figures while you’re on the phone. Tell me in the comments: What are your best tips on balancing work and family?